For our coverage here, we will only explain freight rail (not passenger rail) as there are no major publicly traded passenger rail companies in Canada. Railroads are an extremely important part of Canadian transportation infrastructure and ties in to every part of the Canadian economy. 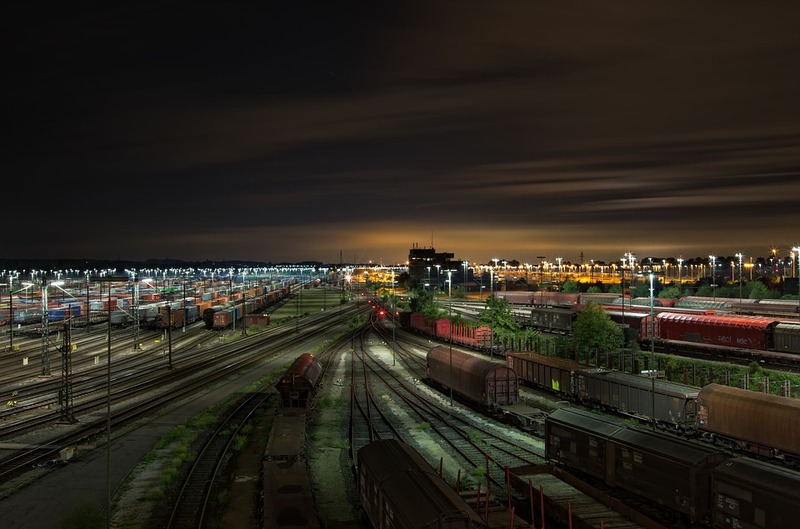 Despite being one of the older industries around, rail continues to be relevant as it connects the country’s goods for consumption domestically and brings Canada’s resource worth to the world. Metallurgical coal is shipped from BC (Teck) to the port in Vancouver for sale to China for steelmaking. Oil is moved by rail to the US Midwest and across the country for refining. Potash is shipped East and West from Saskatchewan and marketed through Canpotex to be fertilizer for the world’s crops. Canadian grain is moved to mills and auto parts from Ontario are moved to the US to build cars. On the other end, intermodal containers are dropped off via barge to the rail terminal in Vancouver and retail goods are made available to Canadians – without rail, the economy stops. Rail does have to compete with other forms of transportation – including trucks, ships, barges and pipelines (for crude oil). However, choosing a shipper is not only a function of price, but also a consideration of time in-transit and reliability. Rail is often a good bet for this and continues to get more efficient as an old industry innovates. CP [TSE:CP] and CN [TSE:CNR] have stressed modernization and are optimized for sourcing the best new developments – rail in Canada is standard gauge and continuous welded track. The industry is seasonal and cyclical. During the winter, revenues are lower due to weather conditions and the costs of operating (clearing ice and taking on additional precautions) rise. Certain ports (Great Lakes) close and certain commodities are not in season. The fourth quarter tends to be the most profitable as retail goods ramp up (Christmas?) and grain is harvested. Warren Buffett said that a bet on rail was a bet on America as he bought the largest railroad in North America, Burlington Northern Santa Fe right after the financial crisis. Rail is a good indicator of the industrial heartbeat and when the economy booms, transportation needs rise. Canadian Pacific Railway and Canadian National Railway are two of the big 6 Freight Class I railroads in North America alongside with BNSF (owned entirely by Warren Buffett’s Berkshire Hathaway), CSX [CSX] , Union Pacific [UNP] , and Norfolk Southern [NSC] . Kansas City Southern [KSU] is the remaining Class I Freight railroad. Although the railroads are branching out, they tend to operate in a duopoly structure, splitting Canada, the Western US and the Eastern US. In some facets of the business, railroads are natural monopolies (inefficient to build a track twice), so CP tends to dominate Western Canadian traffic (shipping from Vancouver to Montreal and to the US Northeast and Midwest) while CNR covers the East. Through the Soo Line subsidiary, CP Rail has substantial track in the US Midwest (over 4,500 miles). The Canadian rails ship a very wide range of products, including: auto parts, coal (thermal and metallurgical), oil & gas (from light crude to bitumen – although tank car regulation is high after certain incidents), chemicals (petrochemicals, plastics and sulfur) and fertilizers (phosphate, potash), agri-food, forest products (wood board, lumber, pellets), grain (soybeans, wheat, corn – politically contentious with the government sometimes forcing railroaders to ship despite negative economics), industrial goods, intermodal containers, machinery. These can be broadly segregated into bulk commodities (raw material), merchandise (value-added material) and intermodal (retail products in containers that can continue its journey through another transportation medium – whether another train, boat, barge, and truck). Intermodal traffic can be domestic or international. Depending on the goods shipped, different freight cars may be required for transport. 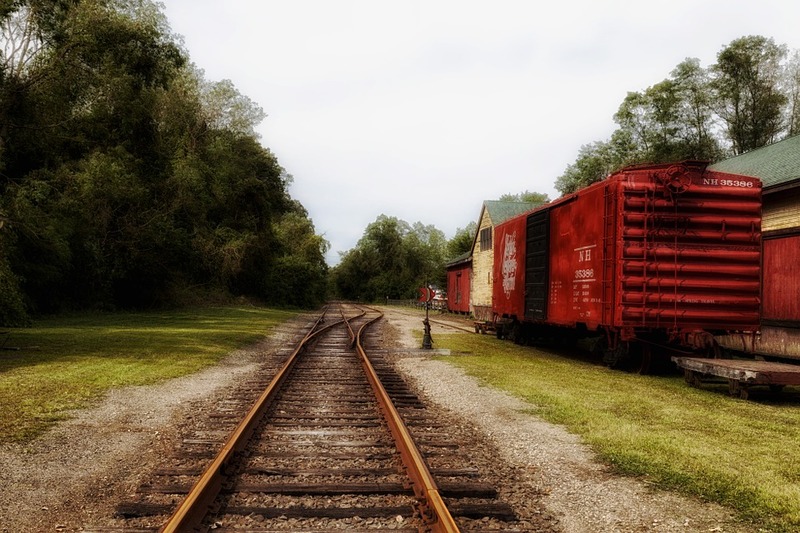 Some freight cars may include: boxcars, covered hoppers, open top hoppers, tank cars, and gondolas. Revenue will be a function of freight rates and volumes shipped, with revenue ton miles the most looked at measure for volume. Due to the operations of Canadian railroads in the US, there is often large FX sensitivity (a higher USD will result in higher US revenues), which corporates may look to hedge. From revenue, railroads like to look at the operating ratio, which is the amount of revenue needed to operate the business. The largest cost for a railroad is generally compensation and benefits. Rail is a specialized industry and rail engineers and conductors command salaries as would be expected in a skilled workforce. As such, optimizing schedules and cutting idle lines can result in great improvements in the operating ratio. Additionally, as with most other heavy industry businesses, railroads tend to contract with organized labor. Having good labor relations and operating in a pro-work jurisdiction is helpful for railroads. Fuel also tends to be a large expense for rail – however rising crude prices have a mixed effect on Canadian rail due to the correlation with the Canadian dollar. 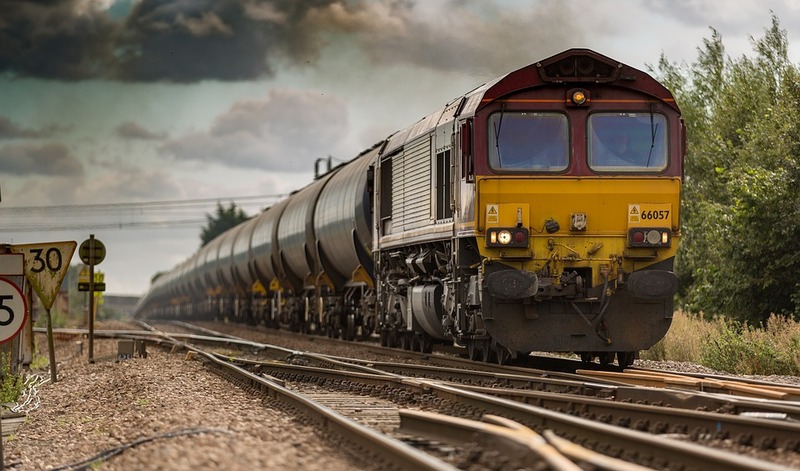 Railroads may have a fuel cost recovery program that adds a fuel surcharge to cargos to ensure shipments can be made and to reduce earnings volatility. Not all of a railroad’s fleet is usually owned, and as such, railroads may have large leasing expenses. Railroads will make a decision on whether to lease or to buy based on available financing options. Leasing, however, is practically always done with a US company and is a US dollar exposure. Reflected over time in depreciation, railroads make large capex purchases to refresh and bring on new fleet constituents (locomotives and railcars) as well as to expand track infrastructure and overhaul enterprise management systems. These are almost entirely in USD and need to be evaluated carefully to forecast out free cash flow. In addition, a railroad will have to purchase insurance (for any spills or crashes), materials (often parts are sold out of the US and are US$ exposures), and contractor fees along with paying other miscellaneous expenses. After getting to operating profit, railroads have to pay interest on debt. Railroads tend to have a sizable amount of leverage in their capital structure, with most railroaders being comfortable in the BBB range and feeling that it is optimal for shareholder value. Due to the oligopoly structure in railroads, the lack of good direct substitutes in transport for many of the goods they carry (trucks are far less efficient – but watch for autonomous electric trucks), and large fixed asset base with low obsolescence risk (rolling stock and track), railroads can take on sizable low cost debt. After taxation, rails can get to net income. Right now, Canada has a better corporate tax regime than the US, but this is on watch after the Trump presidential victory. Railroads are valued primarily on 1) Price/Earnings; 2) Price/Cash Flow and 3) EV/EBITDA – on the whole, fairly similar to airlines, except without the normalization across leases (airlines are EV/EBITDAR – however, railroads lease locomotives and cars and even employ equipment trust certificates just like airlines). With these valuation metrics, these companies are fairly easy to run DCF analysis on (steady cash flow, fairly well projected capital expenditure schedules) or even LBO models (although more feasible for smaller railroads due to their importance as transportation mediums and the politicized nature of these companies regarding labor and trade). On any cash flow metric (2 and 3), the Canadian rails trade at a premium to their US peers, but investors see CP Rail as having the largest visibility for earnings growth at the moment. CP and CN have the lowest operating ratios in the industry. CN Rail trades at a premium to CP Rail, primarily as a result of a larger and more diversified network. In the peer group (Class I rail), Warren Buffett’s BNSF is the largest in terms of volumes (carloads moved), followed by Union Pacific, Norfolk Southern, CN Rail, CSX and CP Rail. Kansas City Southern is not in the Big 6 but qualifies to be a Class I railroad. BNSF is not publicly traded, but rather a wholly owned subsidiary of Berkshire Hathaway – however, like all other Berkshire subsidiaries, BNSF is operated entirely as a separate, autonomous operation that pays a dividend. The debt is issued at the corporate level and 10Ks and 10Qs can be found on the SEC website. CP Rail services the East Coast, along with CSX Transportation (NYSE: CSX) and Norfolk Southern Railway (NYSE: NSC). Canadian National Railway services a cross Canada network and dips into the Midwest and Southern US markets. Gross ton miles are the weight of roling stock (including the locomotive and railcars and the freight shipped on them) of railcars multiplied by the distance traveled. RTM is probably the most looked at metric by equity analysts. Revenue ton miles are the weight of the actual commercial freight being transported by the distance traveled. As RTM is the volume equation in the revenue function, the margins on the actual freight type must be evaluated as well. Railroaders often cite the operating ratio, which is operating costs over revenue. Intuitively, a lower ratio means a better operated company. CP Rail has been the major cost story in the industry after Bill Ackman’s Pershing Square pushed out the old management in the early 2010’s and installed ex-CNR CEO Hunter Harrison to optimize the company. The operating ratio has fallen from 80% to the low 60’s, which is close to best-in-class. The more carloads a rail company has, the more volume it is shipping. Revenue is a function of volume and price. However, the underlying cargo explaining the increase in carloads should be evaluated as certain cargos may be more profitable than others. Freight mix can be split into bulk, merchandise and intermodal. Intermodal means that the rail movement is just one part of the logistical journey of the freighted goods and will continue on another medium (i.e. onto a tanker once the railcar reaches a port). Speed is calculated by dividing train-miles by hours operated. The faster the average train speed, the better. For the same distance, a faster average train speed equals more trips completed. Also, if the cargo needs to be transported via another method after rail, the train’s speed may be the bottleneck. Of course, different cargos may mean different speeds, so a drop due to higher volumes on a slower line may not necessarily be a business negative. For reference CP Rail’s average train speed is ~23 MPH. The longer a train is in the terminal, the longer idle time is and the less utilization is. This may mean that the trains are not being optimized (possible rerouting or other solutions). CP’s average terminal dwell is 6 hours. The longer the train length, the more volume that can be shipped. Moving to longer trains is desired for efficiency, but like other metrics all other variables must be considered. The slowing Chinese economy means less money flowing to Canada’s primary industries (oil and mining). However, international trade continues to grow and China continues to ship numerous products while the country as a whole moves up the value chain. 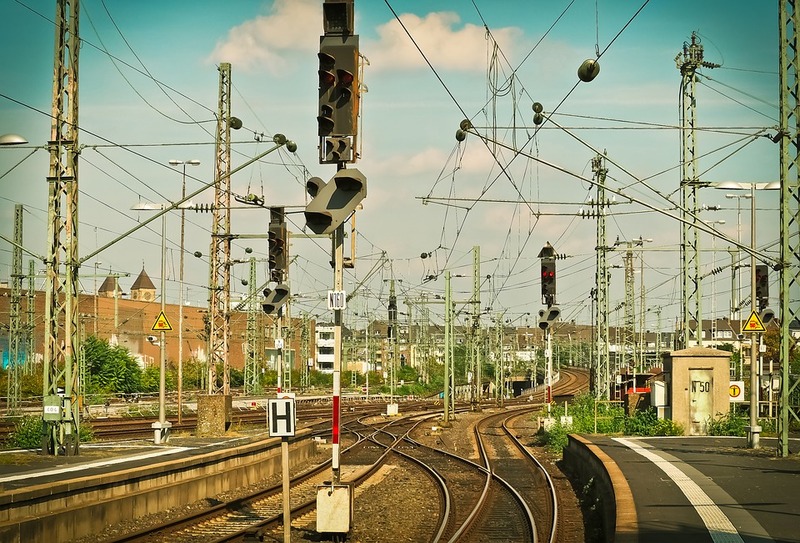 As this trend continues, we may see intermodal traffic flowing more heavily the other way. The lower oil price also affects the attractiveness of shipping crude-by-rail vs using pipelines. Crude-by-rail is faster (pipelines move as quickly as you would imagine sending thick liquid from Alberta to Texas – 5mph whereas railcars move 4x as fast), allows for more blend flexibility (to be shipped on a national pipe, the consistency and quality of oil has to be the same whereas in a railcar you can put a different mix in a different carload) and geographic flexibility (a rail terminal is easy to configure, a pipeline takes forever to plan and build). However, rail is much more expensive and dangerous (prone to spills and in terms for light, pressurized oil – explosion), so unless there is a large difference between the price of oil where it is produced and where it is to be shipped, rail may not make sense. For shippers, it is much more convenient to deal with one logistics firm from point A to point B. The current situation is that for most intercontinental shipping, and even intracontinental shipping, more than one intermediary will be required with handoffs in between. CP Rail proposed a merger with Norfolk Southern in 2016 – this has not worked out due to shareholder disinterest and antitrust concerns. The large railroads (Class I rail) employ a lot of debt in their capital structure. Big 6 Rail is all investment grade, split between A rated and BBB rated credit for their long-term borrower ratings. Most debt is unsecured at the corporate level – but due to not having many assets with liens on them and the preponderance of unsecured debt, it means that there is an ample asset base should financial distress come about. 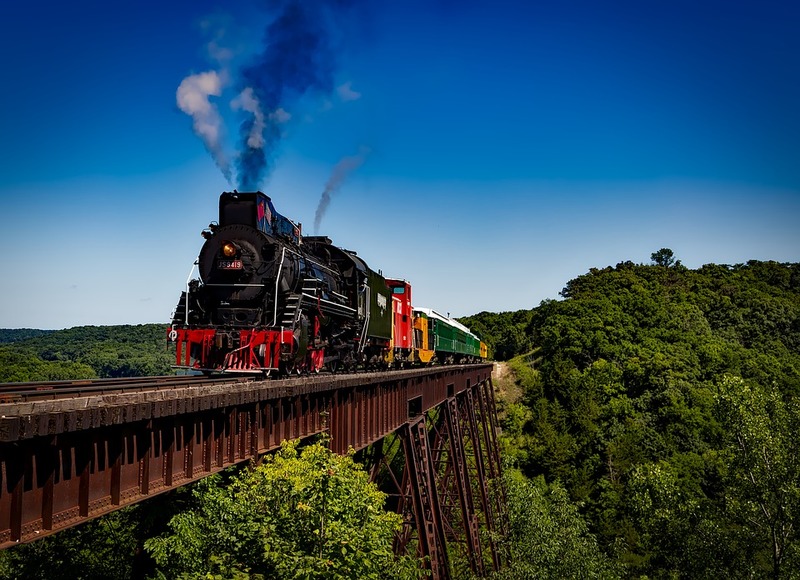 Railroads are an important part of North American transportation infrastructure and have stable and strong cash flows, although they experience cyclicality along with the broader economy. Bonds tend to be at the operating company level while equity is for the holding company. Bonds are not usually issued at the holdco level so there are rarely structural subordination issues. The large railroads have interesting and esoteric debt, due to their importance to Canadian infrastructure and transportation, long history and the capabilities of sophisticated treasuries – you will see 100 year bonds, perpetual bonds (which they may try to extinguish), bonds across all currencies and a host of derivatives layered onto them (which may not be perfectly disclosed). A regional railroad is relatively undiversified and will operate poorly if the nearby economy tanks. For instance, a railroad only services the Appalachian mountains and heating coal prices are sawed in half (which they did), freight is going to suffer. A national or international railroad with a variety of services and products is not insulated from an economy wide downturn, but if crude-by-rail suffers (which it did), the difference may be eased by a good year from grain or coal. Also, different economies peak at different times, so a cross-country operation can focus on booming areas and cut back in hurting locales. Diversified freight mixes are desired here – railroads are fairly flexible and can move a large variety of products, so being close to several commodities and products is helpful. Having different types of boxcars allows for operational flexibility, although the appropriate freight cars can be leased from several finance companies. There is no substitute for volume of carloads and pricing power. The bigger railroads operate 3 different duopolies that do not always overlap, so many are the only rail option in several jurisdictions (trucking is more expensive and unreliable). Large operations also mean huge scale advantages for cost – be it enterprise planning, analytics, parts purchase and fuel efficiency. More revenue will translate to more cash flow and more cash flow means easier debt service. Operating margin for railroads is looked at from the reverse for railroads. The operating ratio is a key metric (costs of running the rail vs revenue for the railroad) and CP and CN have done a very good job in making their operating ratios some of the lowest in the industry. These standard credit metrics apply to railroads, but they can take on more than an oil and gas company due to the stability of cash flows. Railroads often impose a fuel surcharge, so that commodity price volatility is removed as well. If a railroad owns the right of way and the rights to track usage, this is a credit positive compared to leasing these rights (as once they expire there is uncertainty). Fairly standard across all industries but for railroads in particular this metric is important.